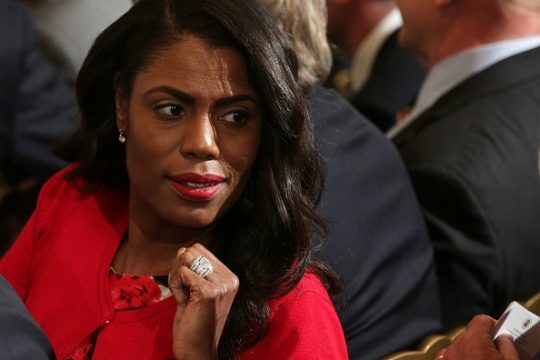 Former White House aide and reality TV star Omarosa Manigault Newman has a memoir coming out, and her publisher said Thursday it will be "jaw-dropping." Gallery Books announced the "explosive" book, titled Unhinged, will be released Aug. 14, the Associated Press reports. Newman went from being a notorious contestant on "The Apprentice" to a prominent political ally of Trump, eventually becoming the White House director of communications for the Office of Public Liaison. She left the White House after a year amid reports she was fired, which she has denied. She was accused of carrying out a profane tirade when Chief of Staff John Kelly fired her, with sources telling reporter April Ryan she had to be escorted out of the White House by the Secret Service. However, the Secret Service denied the report. Afterward, she spoke critically of the Trump administration, saying her departure was like leaving a "plantation." She expressed worry about the country on the reality show "Celebrity Big Brother" earlier this year. She said her experience in the White House demonstrated the administration’s governance is "so bad." Newman was, however, one of Trump’s most enthusiastic backers for a while. She famously said his critics would have to "bow down" once he became president. This entry was posted in Culture and tagged Media, Trump Administration. Bookmark the permalink.